The basement archive of a military museum seems an odd place to find a 41-year-old bird checklist. Then again, this is Cantigny. We like history. We save stuff. Thanks to a sharp-eyed colleague, I was alerted last month to a file labeled “1977 Bird Census.” It was tucked inside one of 11 boxes of miscellaneous Cantigny Park records from the 1970s and 80s, squirreled away in the subterranean Robert R. McCormick Research Center at the First Division Museum. This was exciting news! I’ve been birding regularly at Cantigny for 10 years but records of sightings on the property before my time are scarce. A few years ago, we stumbled upon a 1935 piece in the Chicago Tribune, a column about life on the Cantigny farm. 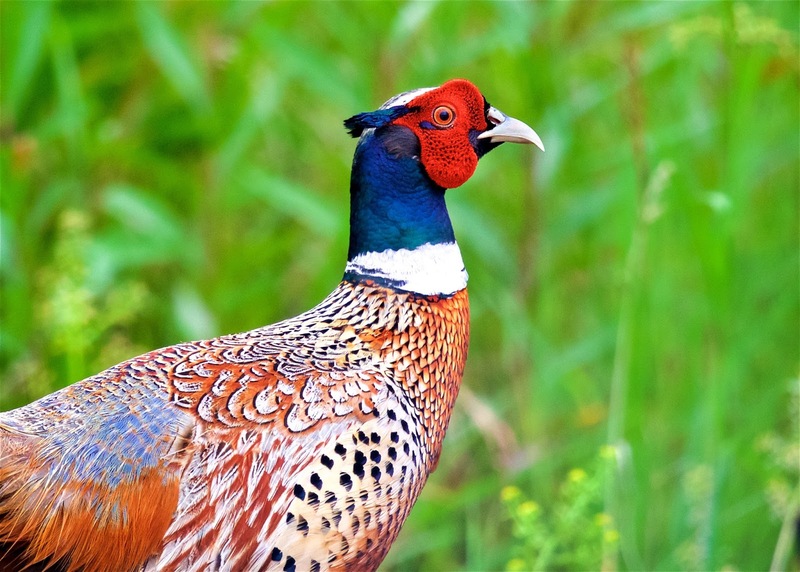 It mentioned the abundance of pheasant and quail, so I promptly added ring-necked pheasant and northern bobwhite to the historical list. Legacy birds, I call them. Now you can understand why my pulse quickened when the museum called. Here was a birding time capsule, just waiting to be appreciated by somebody like me. It felt like destiny. The neatly printed words carry the hint of an experienced birder, giving me confidence that this long-lost data can be trusted. And besides, like Fox Mulder on “The X-Files,” I want to believe. For the month, Janet detected 129 species. Of those, 23 were new to our running all-time list, raising the Cantigny property total to 183 species. This far surpassed my expectations. Some of the biggest surprises were in the shorebird category—dunlin, ruddy turnstone, American golden plover, long-billed dowitcher, yellowlegs (both kinds) and sanderling among them. Other notable finds: American bittern, black-crowned night heron, northern pintail, ruddy duck, black tern, whip-poor-will, yellow-bellied flycatcher, bobolink and vesper sparrow. Landscapes can change a lot over the years, and the changes affect the birdlife. In 1977, the Cantigny golf course was still 12 years away, and the property featured more acres of open field. To be sure, birds once common here are now in decline. Habitat loss has hit some species hard. Birds Janet observed, like night heron, black tern and whip-poor-will, are now true rarities in DuPage. Others, such as red-headed woodpecker, are still present but challenging to find. Conversely, some birds are better off now than in 1977, thanks to human intervention. Janet failed to see a wild turkey or Eastern bluebird, species common around Cantigny today. Her list also lacked sandhill crane, great egret and Cooper’s hawk. But most shocking to me is the absence of three sparrows: song, white-throated and white-crowned. Out of curiosity, I examined the DuPage County Spring Bird Count (SBC) results for 1977. The count took place on May 7 that year, with 42 birders participating. All three sparrows named above were plentiful that day, when 130 species were found in total. If I could meet Janet, I’d first award her an official Cantigny Birding hat pin. Then I’d start firing questions. 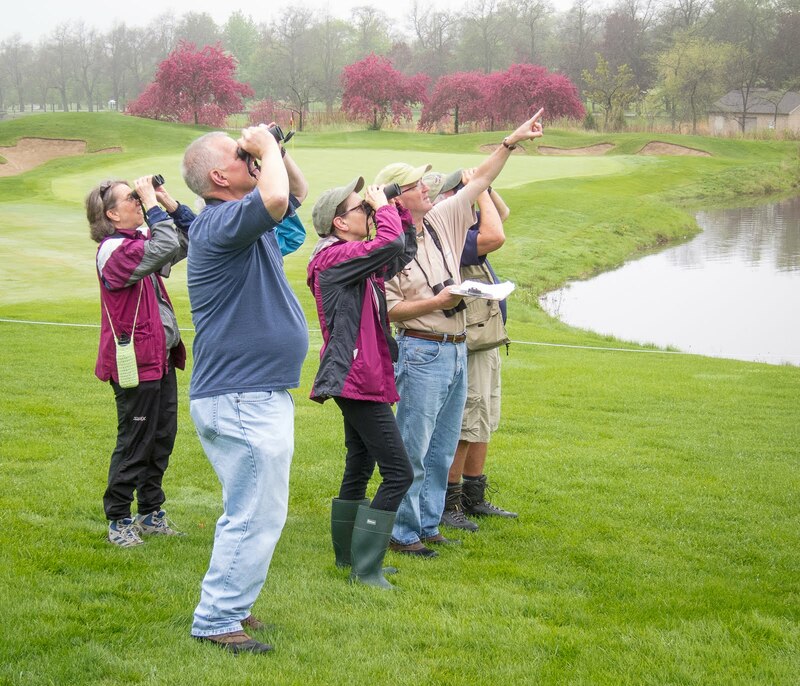 What was it like birding at Cantigny in the 1970s? Where were the most productive spots, and what were her most coveted sightings? Did she bird the grounds on a regular basis? Specific to the May 1977 census, where did she find all those ducks and shorebirds, and how could she possibly “dip” on song sparrow? I’d really razz her about that one. Unfortunately, I’ll never have the opportunity. I learned that Janet LaSalle died in 1995 at age 72. She lived in Wheaton, served on the city’s environmental commission for 18 years, and made her living as a commercial artist. Fortunately, she was also a list-keeping birder.